We are a professional transport company located in Brisbane, and providing containerised transportation, warehousing and distribution services in and around south-east Queensland. One of the biggest challenges when importing containers is unpacking the goods and finding a suitable location to store the contents. We can solve this challenge for you by unpacking your container at our site and storing loose items in our warehouse. From our warehouse, we can then distribute your items to any third-party site when required. If you don’t have space or the necessary labour to unpack a full import container, we can do it for you. We can deliver your goods to your site via our Tautliner. This is ideal for shop fronts that do not have a warehouse or any space to leave a container on site. A Tautliner trailer has curtained side panels which allow easy access for unloading cargo. If you would like to consolidate your cargo items, we can store them in our warehouse until there is enough to fill an export container ready for export. This is more cost-effective than sending a half full container. Because you’re paying for the container space required on board the ship you pay for a container move whether it’s full or half full. We have a purpose built secure Brisbane based warehouse that’s perfect for storage of almost any items. 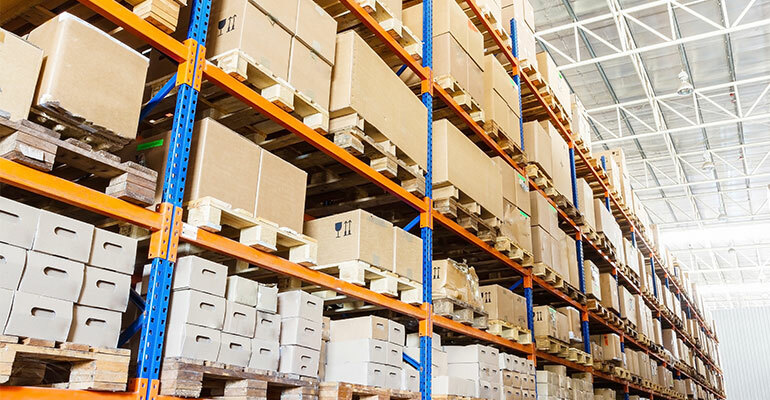 Storage space is the biggest challenge with most businesses when it comes stock. It’s not always practical for a container to be left on your site so why not talk to us about warehousing and distribution. We have experienced labour, storage facilities, and appropriate transport that can take care of your logistics so that you can run your business without added hassle. For goods requiring transporting short distances we require a cartage advice/request to be completed. This lets us know what you would like transported and when. To find out more about our warehousing and distribution services please call our Brisbane office between 6:00am and 4:00pm Monday to Friday.